1976 Holt Tandem trailer, and 1976 Johnson 6HP (long shaft) outboard. What I know about the boat is: They are rare (only a few in the US). They are strong. 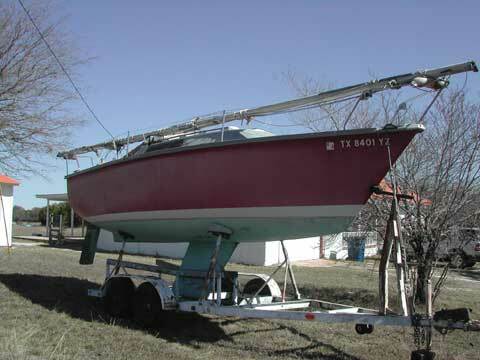 This boat will require work to be 100% or little work to go sailing right away. 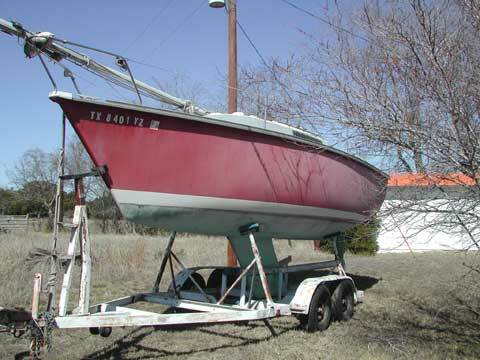 As pictures show; it has a old paint job with some scrapes on the starboard rear side. There is no damage to the hull. 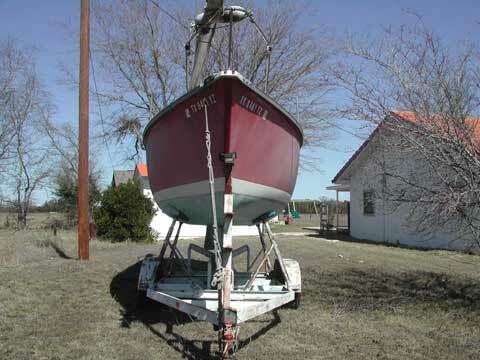 The front and rear of the keel to hull area has small cracks from setting on the trailer forever. No real damage just needs a little putty before bottom job. I did refinish a lot of the interior and the interior only needs new cushions if, you're inclined to do so. They are old but, not torn. The Johnson 6HP is good but, like the boat has been in storage for quite a while. At best it will need a tune up, I'd plan on a carb rebuild as well. The previous owner bought it new and used it for racing. I'm the second owner but, I've never sailed it. There are 6 sails in good shape and all hardware is strong. Lots of extras (too many to list). 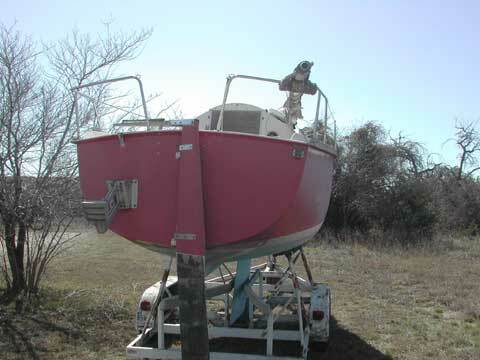 The boat is in a storage lot in Spring Texas (North of Houston Texas). The trailer has 4 good tires (only a few years old). I moved it a 150 miles or so to its present location so a local haul should be OK but, no guarantees (you must decide for yourself). It will need new tags. I'll provide any additional information I can for a serious buyer.